In the past, when a business was establishing a contact center many were focused on absolutely cutting costs anywhere they can. This unfortunately led to a time of unhelpful agents, unsatisfied customers, and overall poor experiences. Contact Centers have grown to be so much more than just agents answering phones, and customer experience has quickly become the most crucial factor for a business to take into account – if a customer has a bad experience, they will simply vote with their wallets, and go elsewhere. With so many different Contact Center solutions available from the ever-growing digital world, we have seen the emergence of the omnichannel experience – or also the integrated, digital experience. We’ve even see Chatbots make their way into the contact center for a completely automated experience. Our technology can now provide multiple options for customers and clients to reach out to support: from phone to email, help online with web chat and even SMS, it’s important for the contact center to take advantage of not only new channels, but also a connected experience that irons out the annoyances. One major annoyance can be summed up as losing all context of why you’re even seeking help. And that’s exactly where WebRTC can come in, to save the day for contact centers. When it comes to contact center operations, users not only want the most convenient way to get in touch, but their experience can also be improved with deep integration through all of your resources and connection points. When I say that, I mean there should be a direct connection between your social media channels, your main website, and the support your customer needs. I come back to the example time and time again, but it is a really strong one to explain the point – Vonage CEO Alan Masarek explained the idea of contextual based support in the example of booking a flight online. If the user is booking their flight online, and has an issue with the service, they need to stop what they’re doing, locate a phone number and place a call. Once they finally reach an agent, they have to tell that agent who they are, what flight they were looking to book, and explain the issue to them. The context of where the customer was, already booking a flight online, is completely lost – the website is not integrated, or connected to, the phone call. There are already thousands upon thousands of WebRTC enabled web browsers installed on most machines. WebRTC also works on all popular mobile devices. 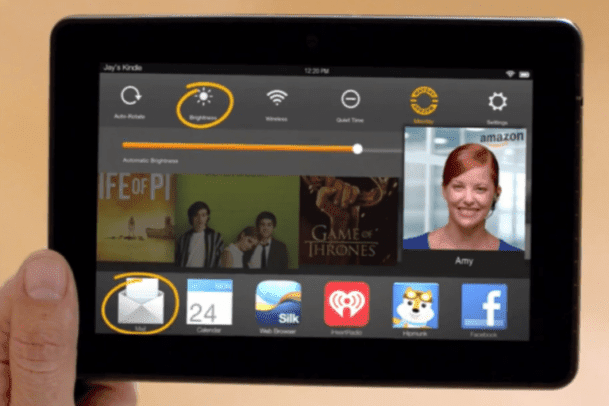 Just to provide an example of what a WebRTC enabled Contact Center channel might look like (and I’m not the first to point this out, that’s for sure) we can turn to Amazon’s Mayday button, built into their Fire tablets. Essentially, this button lives right in your tablet’s OS, and clicking it gets you almost instant access to a “video chat” with an agent. That agent can then circle things on your screen, simply walk users through steps, or even take control of the tablet to assist users in solving their problem. What is particularly interesting is that while users get a nice video display of the agent, a live feed of them talking and helping you work out your issue, the agent cannot see the user. So, it’s almost a 1 way video chat, but definitely helps push user adoption – customers don’t have to be worried about looking presentable just to receive quick help. Meanwhile, your agent’s video stream provides a personalized, human experience. And again, this all happens right on your tablet, right within the apps you use. 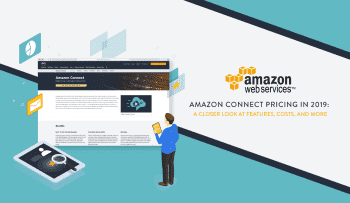 Amazon did a great job of creating a contextual support option that doesn’t require users to download any plugins, or major user interaction, beyond hitting a simple “Mayday” button – its instant, helpful support right when the customer needs it, with no time wasted. 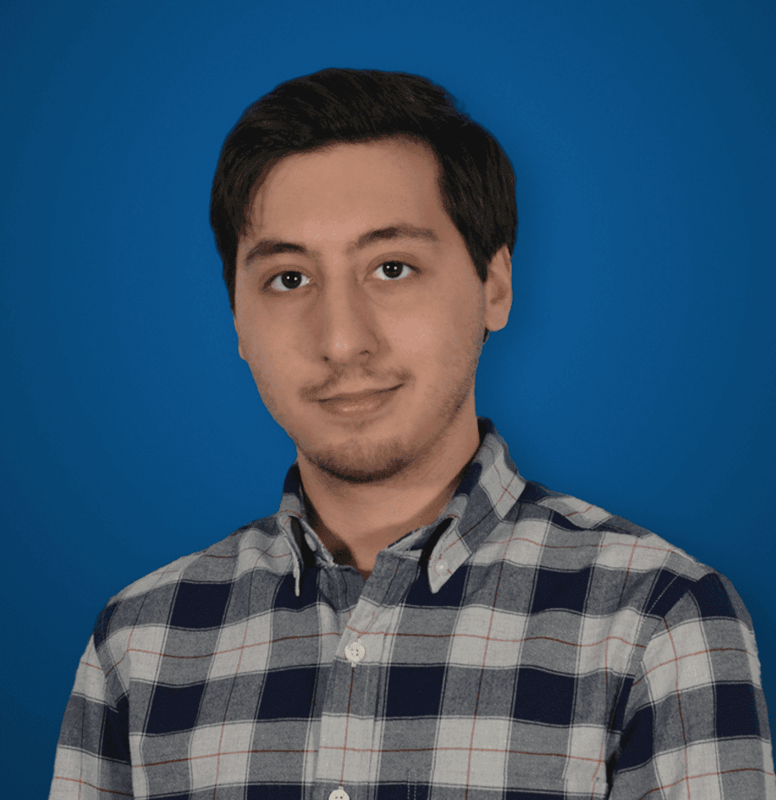 Without bogging you down with too many technical details, it will help to understand what WebRTC does differently if you have a solid foundation of how the process already works. While in reality, it’s a fairly complicated procedure of multiple components interacting with each other, the end result is fairly basic: to help direct a customer from their initial phone call dial tone, to eventually an agent on the other end. A customer is browsing your website, places an order for an item, subscription, service, whatever. This places their information, and interaction with your business, into a Customer Database. They need support, or have an issue with their order so the customer can either find your contact number and dial in – for simplicity we’ll leave it at that. Once the customer dials in from the PSTN, they are connected to Voice Gateway, sometimes a Session Border Controller or a hardware Firewall. This grants authorization to the data transmission, and brings the user to the, Interactive Voice Response, IVR system which helps them navigate to the support they need. The IVR then interacts with the Automatic Call Distribution, or ACD, to find the proper agent or department to transfer the user to. The ACD finds an agent, and interacts with the PBX and establishes the connection between the user calling in, and the agent. On the agent’s end, they have a phone (either physical or a softphone) that connects to the PBX, as well as access to the customer’s database. Sometimes they will have a CRM as well, which can provide a “pop-up” of some previous customer information, but nothing contextual for each individual call. The caller and agent being their conversation, generally with the agent asking the caller to repeat or verify their personal information, and describe their problem. Now we do have some smart and modern IVR systems that can allow for a personalized experience, but nothing more than who is calling, maybe a phone number paired up with CRM details. A less personalized, human connected experience – just a voice on the phone or chat in your browser. Upset customers stuck navigating the IVR wall, shuffled around to different departments. Unnecessarily long wait times, and as we’ve seen in our testing its still too common. Time wasted for the customer to verify who they are, and explain why they’re even calling. So back to the Amazon Mayday example, utilizing a one-way video chat, screen sharing, annotation and drawing, or even full screen control we have a really robust help system that can not only let customers access help quickly and easily without having to jump from the app to their phone or email, but we also have advanced features included as well. And that’s all because the user never had to leave the app, since the interaction happens in the app the agent sees all of that information on their end as well. WebRTC directly helps power the omnichannel experience I’ve talked about so much before. 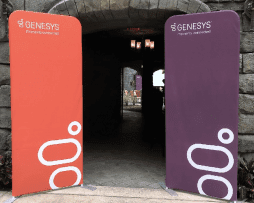 WebRTC helps bridge the islands, connect the gaps between the different methods of support, and ultimately communication, between an agent and a customer. WebRTC is the glue that helps stick the different channels together, seamlessly. As I said before, WebRTC does this by preserving context, since video and voice are integrated directly into the app or website itself. Starting at the customer’s end, since you are already on the website, or in the app, you have already established yourself as a customer in the company’s database. Previously, a user would have to pick up a phone and make a call over the PSTN which would essentially remove all that precious data and context. So essentially, what WebRTC does is allow the web browser to act as your main connection to the PBX, and then agent, directly. Of course, we still need an ACR to help navigate users to agents, but there’s a bit of trickery involved with a WebRTC setup. First, in place of an SBC or Firewall, a WebRTC to SIP signaling gateway is necessary, and are common devices provided by vendors that sell and support WebRTC add-ons to otherwise legacy Contact Center solutions, those built off SIP or a PBX. This is your network gateway to allow traffic in or out. A back-end web portal that the entire thing is built on, integrated with your website or app specifically. This web portal will actually act as the IVR itself, with the user navigating themselves to the proper section of the website, or app, and then requesting for help in that section when they need it. The ACR doesn’t need to know that this is a “fake WebRTC IVR,” and just treats all incoming information as if it was on a traditional IVR. What is known as a co-browsing server to act as the intersecting point for the agent and the user, or client attempting to gain support. This is the secret sauce that allows the agent to see what the user sees, and how it functions is a pretty detailed mess better left to the providers to explain or not, as they sometimes try not to give away their secrets. There is a bit more technical information involved than this – like HTTP proxies for security, and a media gateway to translate different codecs and protocols, but essentially we replace a few traditional elements of a contact center solution with a few WebRTC focused alternatives. Replacing an IVR and SBC with WebRTC alternatives allow us to create an entirely WebRTC based system. Now this may seem a bit ambiguous – like what exactly is a co-browsing server and how do I get one? Well these elements are generally specialized and designed for contact center applications by the providers, essentially the co-browsing server will act as a client for your agent to see what the user sees, along with the tools to power the experience like screen sharing, or drawing and annotating tools. Now you may be saying that the old-school way is all fine and dandy – it’s not too difficult for a user to state their reason for calling and we already have a solid group of solutions that create a comprehensive system. So why waste extra time and money to add in a new system that might only get a few clicks? After all, contact centers are all about efficiency and productivity. Just look at the alternatives popping up on the market, like complete in-app support options. Well, with that said, a contact center doesn’t want to waste time during, on or in between calls. So then doesn’t it make sense to make things even easier if we can? 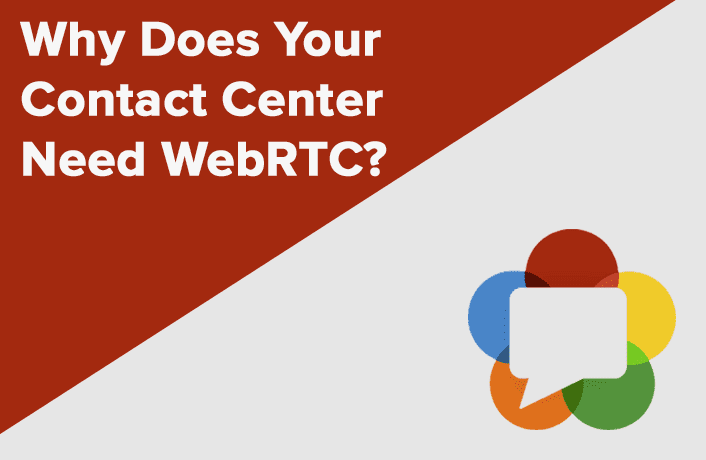 WebRTC has a host of benefits, but overall should improve both the user experience, and save your agents time to tackle more inquiries. Advanced features like video chat, easy screen sharing, or complete agent control over the app or website. 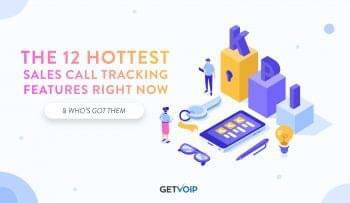 What boils down to quick, easy and painless customer support without any long wait times, annoying phone calls, juggling through the IVR, or follow up emails. It’s all about keeping that competitive edge, and in a time when customer experience is regarded so highly, it would make sense for your business to ensure the best customer service in any way possible. Once your competitor already has this system, it can be too late for you to jump on board and play catch up. WebRTC, and other innovations like 5G data, will revolutionize the way we communicate – might as well jump on board sooner than later.